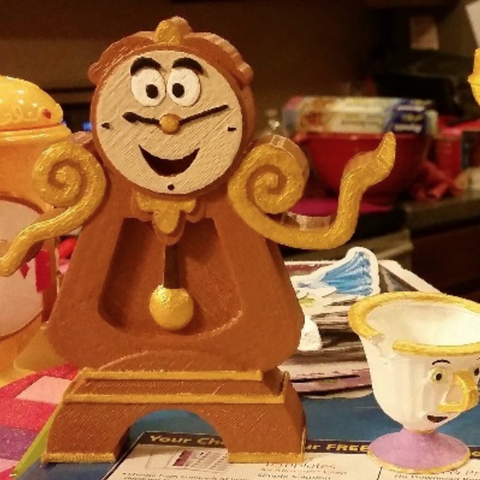 I created these a couple years ago for my daughter's Beauty and the Beast themed party. 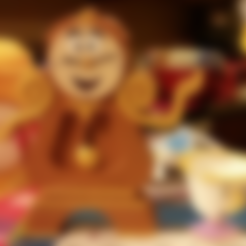 The original Cogsworth looks amazing but I wanted one I could print in 1 piece without any supports so I redesigned everything from the ground up and only kept the original arms. The same goes for Chip. I printed him with no supports in 1 piece. Footstool Dog, was a completely original design and I had to break him into 2 pieces with minor supports for the tassels hanging off and for his toes.